Step 1: go to the datasheet of TutuApp for Android on Malavida and click on the green Download button. Another possibility is to access the URL http://www.tutuapp.vip from our usual browser and press the Download Now button. Step 2: a pop-up window will appear asking us if we’re sure that we want to download the file. We’ll click on OK. Step 3: once the download has been completed, we’ll have to get to the APK file from the operating system’s notification tray (dropping it down from the top of the screen) or from our device’s file manager. Step 4: now click on the downloaded file to start the installation process. It will be completed in a few seconds and ask us if we want to remove the APK from the device’s storage space. You can get rid of it without any trouble if you want to release some memory. What is TutuApp and what's it for? 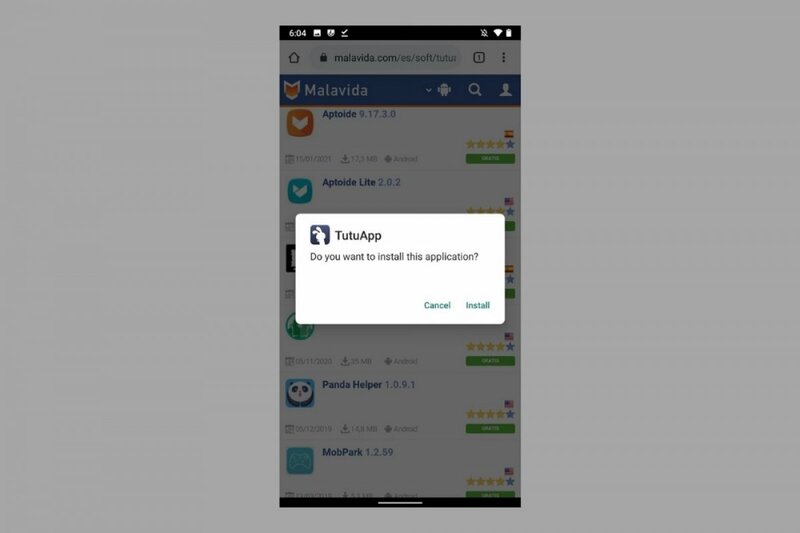 What permissions does TutuApp request during the installation? What is Tutu Helper? Is it the same as TutuApp? Does TutuApp work without root? Is TutuApp safe or dangerous?